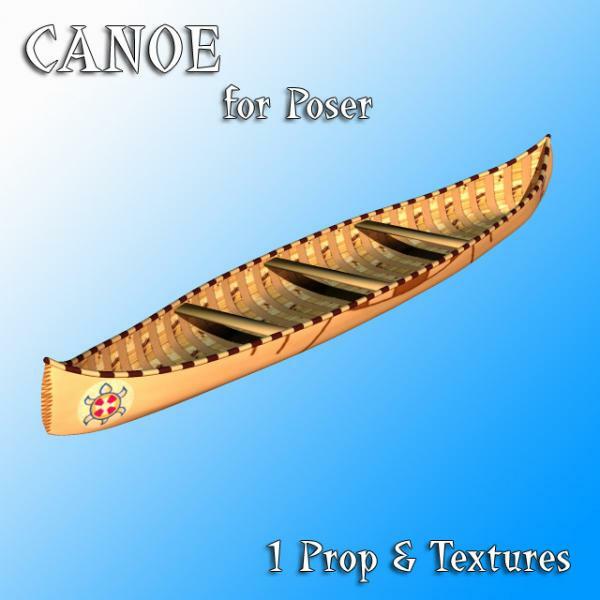 Canoe for Poser - Hint: If you use Poser 5 and up please select the canoe and uncheck the smooth polygons box. Uwe G. (6 months ago) Inappropriate? Uwe G. (1 year ago) Inappropriate? I don't see it in the render here but is there an oar for this? Uwe G. (4 years ago) Inappropriate? Thank you very much for this timeless little masterpiece! Uwe G. (5 years ago) Inappropriate? thank you, it's a very good canoe. DarkRiderDLMC (6 years ago) Inappropriate? I used this on deviantART and credited you, Thanks! Thank you! Now I can send my Kids to Camp Kiddiwawa for the summer! Thanks but, where is the preview in jpg?...lol. BardCoennius (9 years ago) Inappropriate? Pas de la Rhone que nous? Mogwa (9 years ago) Inappropriate? Great work and beautiful texture. thank you very much ! Quist3D (11 years ago) Inappropriate? Wow.. Just spoted this.. Small image, But it looks like it has a nice texture. You are very welcome, thanks for your comment.